BEIRUT (CNS) — Amid all the violence of the world, religions must be factors of peace, Brother Alois Leser, prior of the Taize community, told Christian and Muslim young adults from 43 countries. More than 1,600 Muslims and Christians gathered in Beirut to celebrate the feast of the Annunciation March 25 in a ceremony punctuated by songs, prayers, reflections and speeches. They were encouraged to respect others to foster genuine interreligious dialogue. 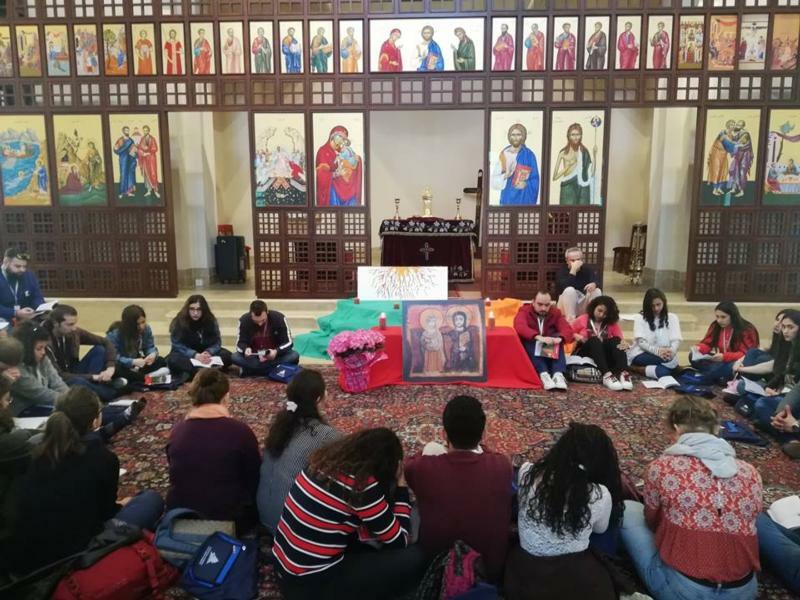 The Beirut gathering was part of the March 22-26 International Ecumenical Youth Meeting, organized and sponsored by the churches of Lebanon, the Middle East Council of Churches and the monastic Community of Taize. For the Annunciation encounter — at which participants observed a minute of silence for victims of violence around the world — the young people were joined by various Muslim religious officials and clerics; Lebanese government representatives; the papal nuncio; Christian and Orthodox prelates and religious; and brothers from the French-based Taize ecumenical community. Workshops and sessions at the ecumenical meeting — at the main seaside event venue as well as in various churches in Beirut — focused on issues related to coexistence and interfaith dialogue, as well as rituals and traditions of the Eastern churches. The relations between the Taize community and Lebanon date back to the early 1980s, when the late Brother Roger Schutz — who founded the monastic community in 1940 — visited the country as its civil war was still raging.